If you're rowing from your cooler or dry box, especially if you're using our Flip Seat Mount, you'll like the extra height of the NRS 10" Oar Mounts. Now in high-tech hot-forged aluminum for a stronger, lighter, sleeker mount. 10" Oar Mounts raise your oar locks up higher for more comfortable rowing when you're sitting on a raised surface. Forging aligns the crystalline structure of the aluminum, creating a stronger oar mount. This increased strength has allowed us to streamline the design, reducing the 10-inch Oar Mount's weight by 25% over the older model. 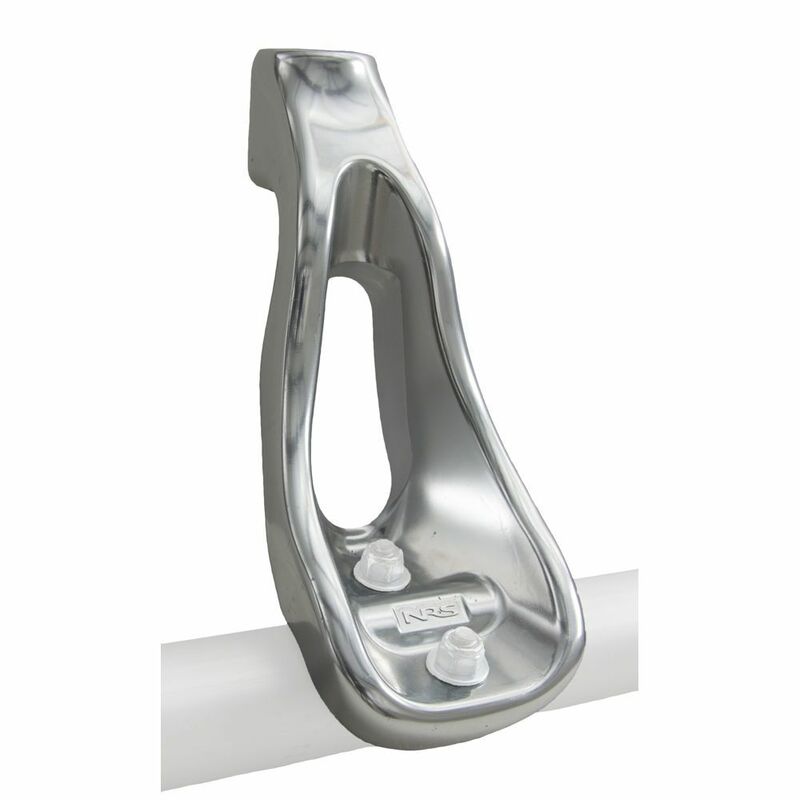 A tough nylon bushing allows the oarlock shank to rotate friction free, and the bushing is easily replaceable. You can easily adjust the oar mount's height by rotating it on the side rail. Molded ridges on the gripping surface increase holding power on our 1 5/8"OD frame pipe. Accepts 5/8" diameter oarlocks and pins. 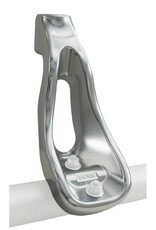 A pair of oar mounts includes two U-bolts with nylon lock nuts and four washers. Weight: Single mount with hardware is 2.45 lbs.